SWITZERLAND, Zurich — Based on breaking news and events, it appears that CIA Headquarters in Switzerland (located beneath Lake Geneva) is preparing to execute a wave of religion-related terror that will predictably be blamed on domestic, Islamic, Nazi or Satanist-related terrorists. Although America is the #1 target, other western countries could be targeted as well. A future terror scenario in which Catholic and/or Christian churches and Jewish synagogues are attacked with arson-related fires, conventional bombings, fire bombings and/or gun-related massacres is unfortunately an impending reality. Said attacks will subsequently be used by the CIA to: a) spark a race war in America, b) spark a war in the Middle East, and/or c) sell the notion that Satanists are now targeting Jews and Christians. The opening salvo of church-related terror was witnessed back on June 17, 2015, when 9 people were executed in a terror attack on a black church in Charleston, South Carolina. The alleged suspect was a white male was photographed with a Confederate flag that has since become synonymous church-related terrorism. In order to rehash the Charleston Church Shooting just prior to a similar yet far more deadly church-related terror attack, it was reported on July 24, 2015, that gunshots were fired at 3 black churches in 3 days outside of Charleston, North Carolina. 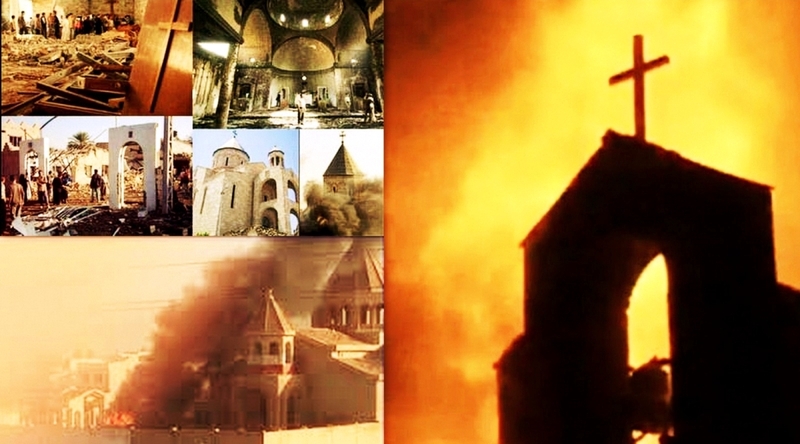 A few weeks later on August 6, 2015, traitorous Inforwars published a report entitled “Burning of Christian Churches in Israel Justified, Far-Right Jewish Leader Says”, foreshadowing that Christian churches will be targeted by state-sponsored terrorists in the near future. Roughly a week later on August 14, 2015, it was reported that a North Carolina pastor plans to arm his church members in the wake of the Charleston Church Shooting. Needless to say, the report was designed to foreshadow the notion that churches may once again come under attack. Five days later on August 19, 2015, it was reported that world renowned pastor Billy Graham’s son-in-law died days after being found in a pool. Whether Graham’s son-in-law was murdered is not known, but it’s highly likely that he was assassinated in order to acclimate Christians for a wave of upcoming church-related terror attacks. In what appears to be pre-ISIS church terror attack propaganda, it was reported back on August 21, 2015, that the Islamic State in Syria demolished an ancient Mar Elian monastery. Two days later on August 23, 2015, ISIS reportedly destroyed a temple at Syria’s Palmyra. Four days later on August 27, 2015, traitorous Infowars published a report entitled “Muslims Buying Up Christian Churches Across US” which was designed to link Muslims (and thereby terror) with Christian churches just prior to a church-related terror attacks. Four days later on August 31, 2015, a so-called white supremacist was convicted of killing 3 people outside Kansas Jewish centers. Consequently, a Neo-Nazi, Skinhead or KKK-related attack on Jewish synagogues are expected. Roughly a week later on September 4, 2015, Fox News reported that two men fired 40 high-capacity bullets into a New Jersey church twice back in 2014. Needless to say, the almost 2-year old incident was fabricated at the behest of the CIA in order to make the notion of a church-related terror attack seem all the more plausible. Based on breaking news and events, it appears that the CIA in Switzerland is preparing to execute a wave of church-related terror attacks that will be blamed on so-called Satanists. In order to highlight Satin on an international level just prior to a wave of Satanist-related terror attacks, it was reported back on August 12, 2015, that bizarre images of “Satan” appeared on the Empire State Building in New York City. 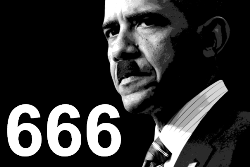 A few weeks later on September 1, 2015, an Iranian Guard chief reportedly stated that America is “still the Great Satan”. Lastly, in order to set the precedent for Satanist-related attacks on churches, it was reported on September 4, 2015, that a Christian pastor in Nevada now believes that vandalism at his church are Satanic attacks. Said vandals will predictably graduate to more sinister forms of church-related terrorism in the near future. Prior to a high-profile church-related terror attack, the world must be psychologically prepared to accept that this is in fact possible. Fraudulent headlines and fabricated events are a slick way of convincing people that yes, it can happen. As evidenced, church-related terror is now at an all-time high which suggests that a state-sponsored terror attack on a church-related entity is imminent. Prior to an ISIS-related terror attack on Catholic and Christian churches, the world must be psychologically prepared to accept that this is in fact possible. Fraudulent headlines and fabricated events are a slick way of convincing people that yes, it can happen. 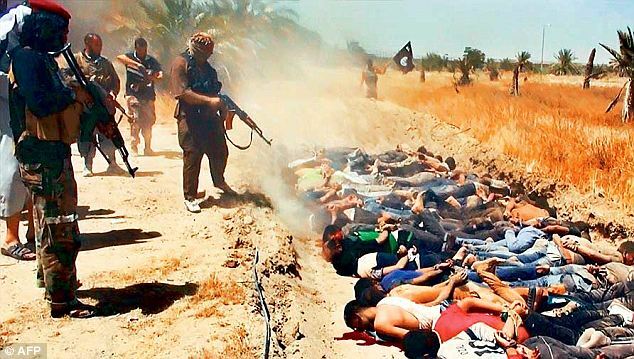 As evidenced ISIS-related attacks, crucifixions, kidnappings and killings of Christians is now at an all-time high which suggests that a state-sponsored ISIS-related terror attack on Catholic and Christian churches is imminent. Breaking news and events in respect to churches in New Mexico suggests that the CIA was plotting a wave of church-related terror attacks in the Land of Enchantment. The New Mexico church terror narrative was first identified back on August 2, 2015, when explosions shocked congregants at 2 churches in New Mexico. The coordinated terror attacks were evidently designed to set the precedent for future church-related terror attacks in the state. Less than 2-weeks later on August 14, 2015 a suspicious device found at another New Mexico church. Roughly a week later on August 22, 2015, Truther.org published a report entitled in-part “Obama Plotting Another Church-Related Terror Attack—Christian Mega-Churches Now Under Threat”. 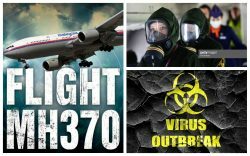 Low and behold, that very same day, August 22, 2015, it was reported that 3 people were found shot to death in a Roswell, New Mexico while a fourth person was hospitalized. In all likelihood, the dead were Special Forces (i.e., professional terrorists) who were responsible for the aforementioned bombings, and were slated to execute a wave of church-related terror attacks on Sunday, August 23, 2015. However, due to the Truther.org terror warning, the terror plot was foiled and the Special Forces were subsequently assassinated. The fourth person allegedly hospitalized will likely succumb to his injured in due time. In the aftermath of the Charleston Church Shooting, Truther.org published a report on June 18, 2015, entitled “Obama Plotting Wave of Church-Related Terror Attacks & Race War Massacres”. 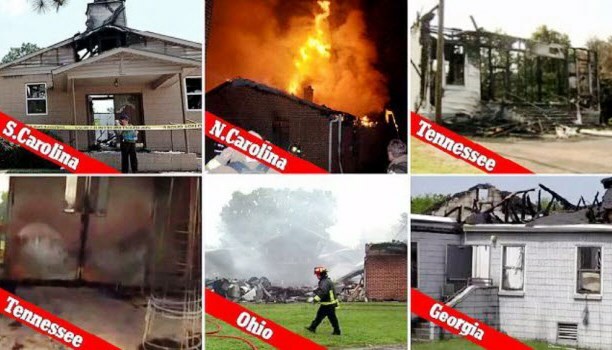 Although the terror attacks and race war massacres have been thwarted to date, black churches are now being targeted with state-sponsored arson. This notion was confirmed on July 1, 2015, when USA Today published a report entitled “Fires at Black Churches Raise Concern”, highlighting the recent rash of arson-related fires at black churches. According to the report, there have been numerous fires at predominantly black churches in Florida, North Carolina and South Carolina and Tennessee, three of them attributed to arson.